Order within the next... 5 hours, 6 minutes, 31 seconds ...for dispatch today! Expertly crafted from Atlantic rosewood. Imperious 4.25 inch (107 mm) king. 19.7 inch (50 cm) walnut and maple board. Solid Indian rosewood storage box. 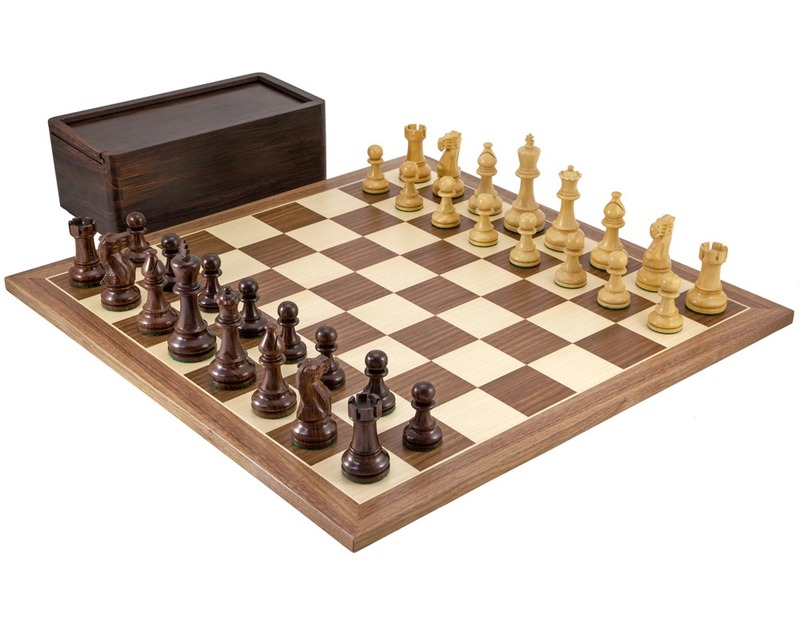 A very large Staunton chess set that combines our fabulous extra large Atlantic Rosewood and Boxwood Chessmen with a wonderful walnut and maple chess board at almost 22 inches in width. 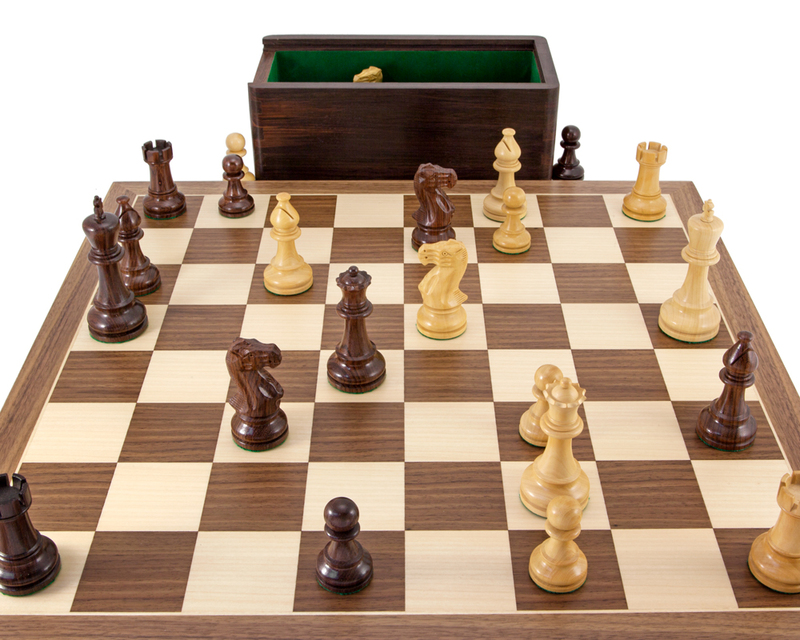 This is a fantastic chess set to play on! 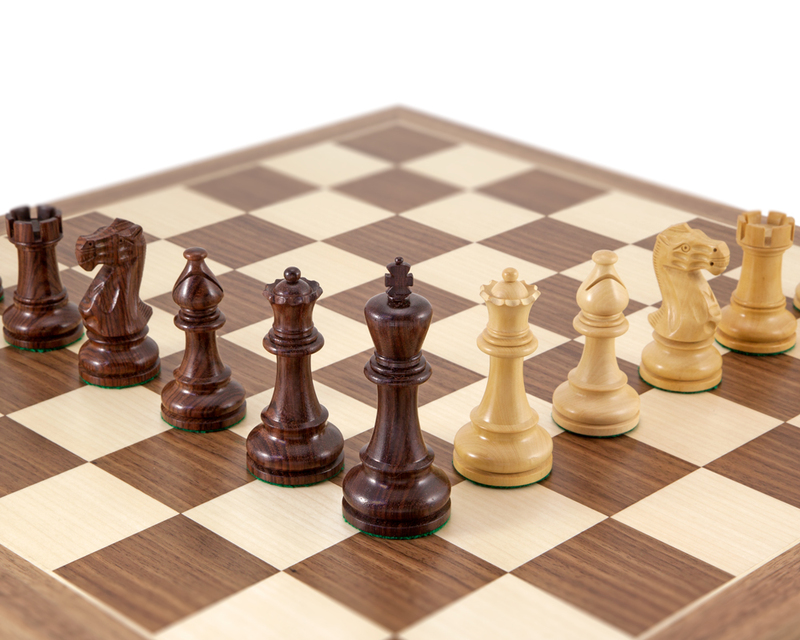 The chessmen are heavy, balanced and finished to perfection. The detailing of the carving is exceptional as is the quality and depth of tone found in the solid Indian rosewood used throughout. 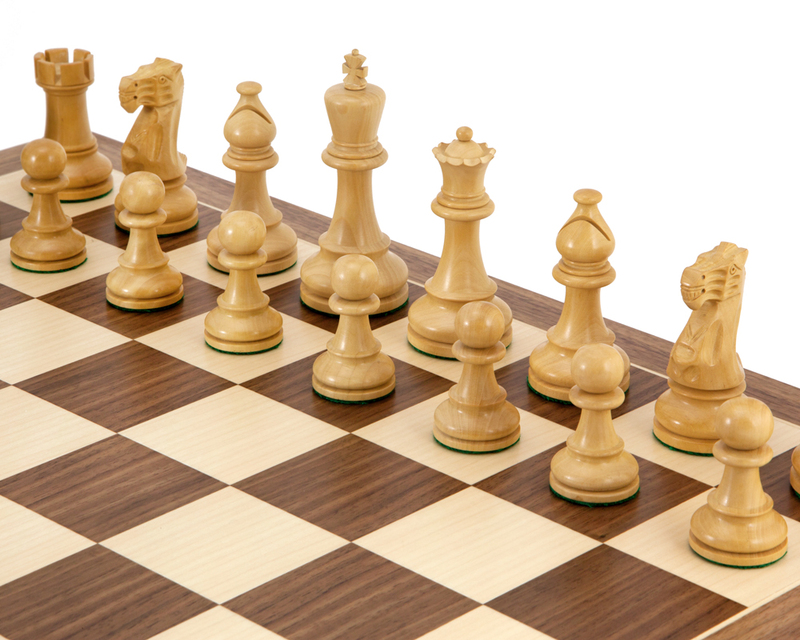 Each chess piece is weighted and has a protective felt base. 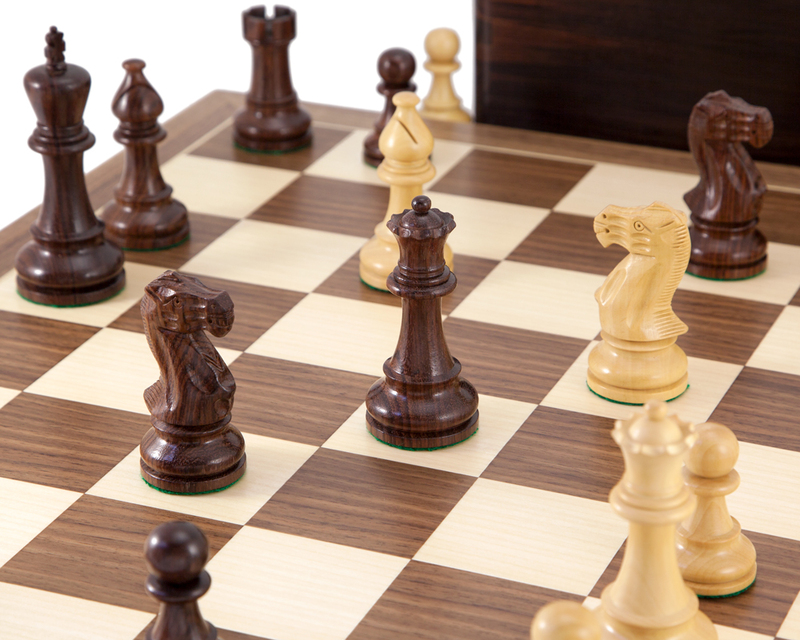 The chessboard is made in Spain using European sourced walnut and maple veneers. it has a wonderful light satin lacquer coating which provides a sooth playing surface and offers a degree of protection to the wood. 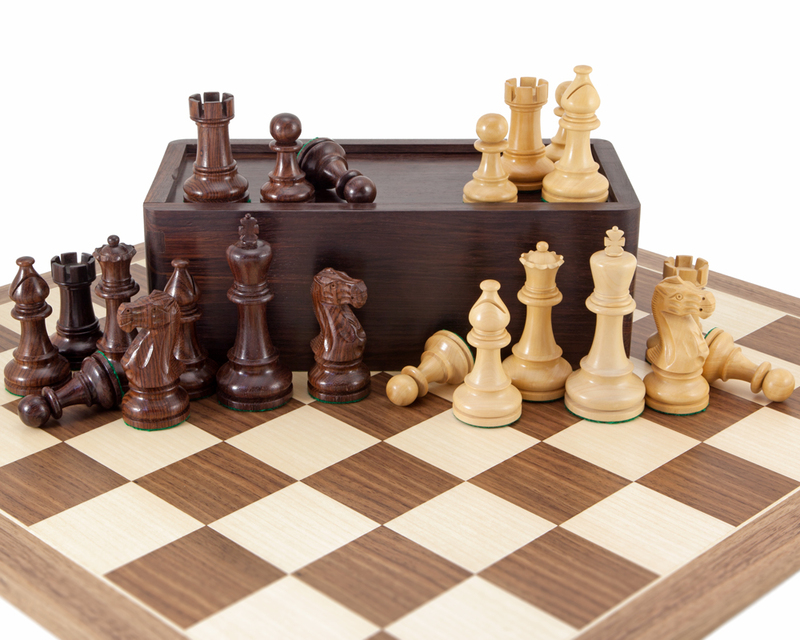 Finally, the set includes a solid Indian rosewood chess piece case with a traditional sliding lid design. Inside the case are two felt lined compartments for the chessmen, prefect for stowing the pieces when not in play. 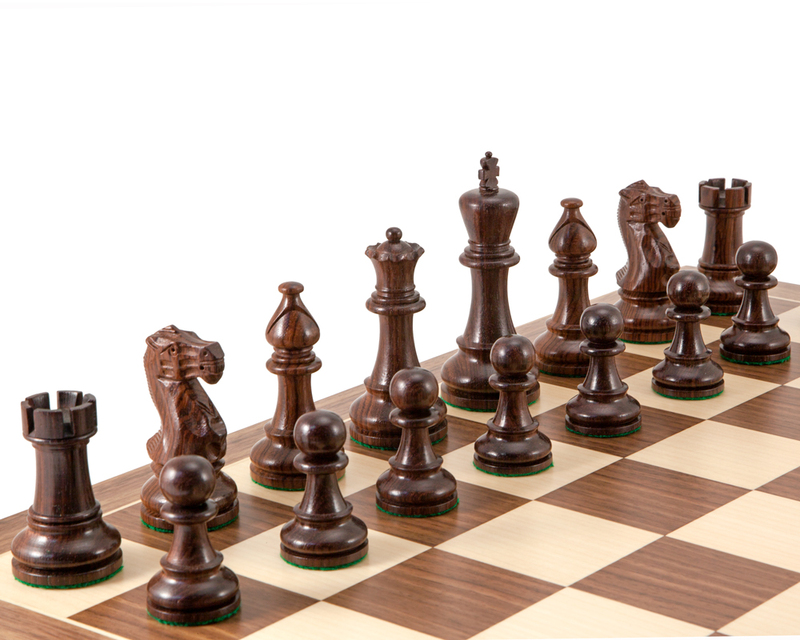 This really is an impressive Staunton chess set that will provide years, if not generations, of glorious chess playing.